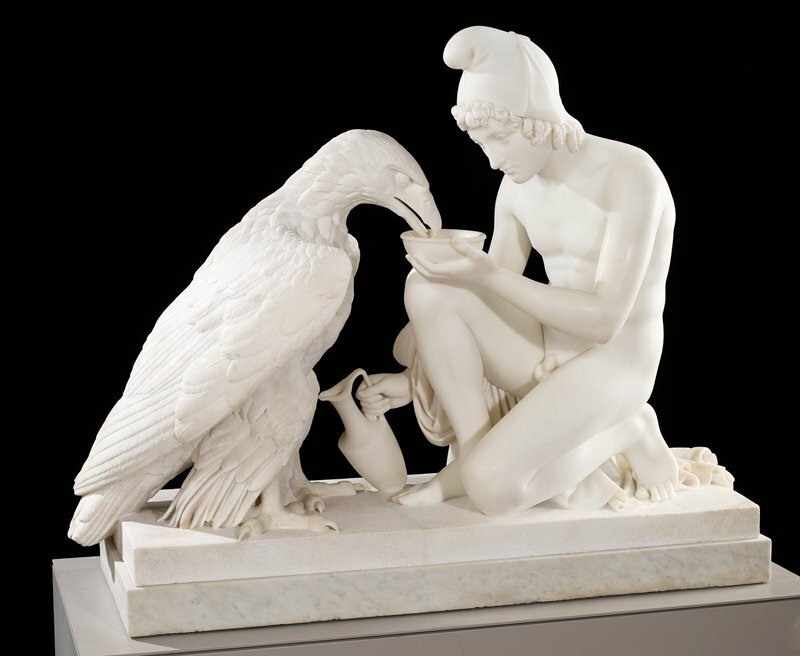 In Greek mythology, Ganymede was cupbearer to the gods, serving them with nectar and ambrosia. As a young prince of Troy, he was abducted by Zeus, ruler of the gods, and carried off to Mount Olympus, the gods’ home, where he became immortal. An admirer of Greek and Roman art, Bertel Thorvaldsen was one of the foremost neoclassical sculptors of the 1800s. At the age of only eleven, he was accepted into the Royal Danish Academy of Art. In 1797 the excellence of his artwork earned him a royal stipend that enabled him to study in Rome, where he spent a large part of his career.